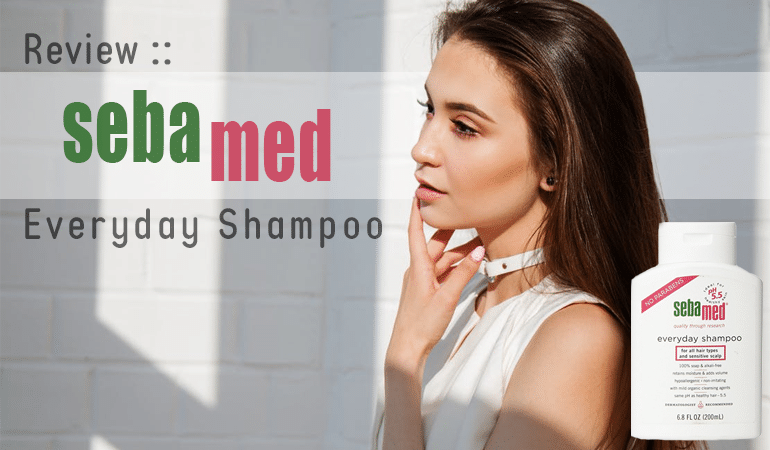 Can a popular low-cost shampoo clear your dandruff, as well as the numerous 5-star internet reviews claim? 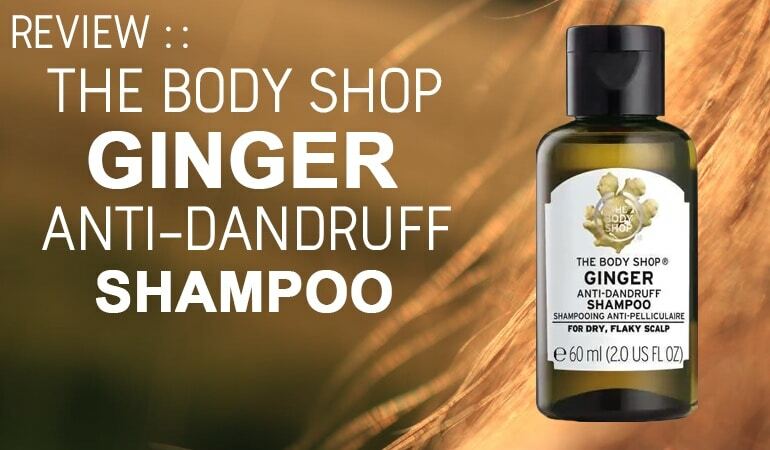 With one bottle of The Body Shop’s Ginger Anti-Dandruff Shampoo sold every 4 seconds, it’s certainly a formula worth investigating. 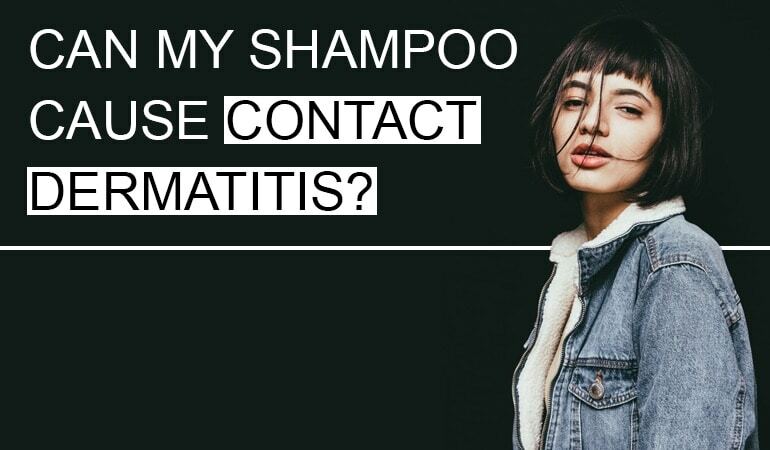 With only one active ingredient, the gentle but ever more popular Piroctone Olamine, this is a tried and tested shampoo to help control dandruff caused by seb derm. But is it as good as claimed? Together we’ll find out. First stop – who are The Body Shop and are they experts in dandruff treatment? The Body Shop is a well-known UK founded company which began life in 1976. The company was founded by Anita Roddick to fight against animal testing, use natural and ethically sourced ingredients and to create 100% vegetarian products. It was a unique proposition at the time, global success soon followed. With community trade partnerships, Enrich Not Exploit commitments and a landmark campaign to ban animal testing – which indeed led to a complete UK-wide ban in Nov 1998 – The Body Shop are strongly committed to feel-good values. Brought out by L’Oréal in 2006, The Body Shop has just been sold on (June 2017) to Brazilian cosmetics company Natura. L’Oréal certainly has significant anti-dandruff expertise – owning several shampoo brands which feature anti-dandruff products e.g. Vichy. Have L’Oréal applied their anti-dandruff expertise to The Body Shop’s Ginger Anti-Dandruff Shampoo? Before we take a look let’s take on-board first impressions. Available in 3 sizes – a 60ml, 250ml or 400ml bumper pack The Body Shop’s Ginger Anti-Dandruff Shampoo arrives simply in a recyclable amber plastic bottle. The fact it’s amber is spot-on. 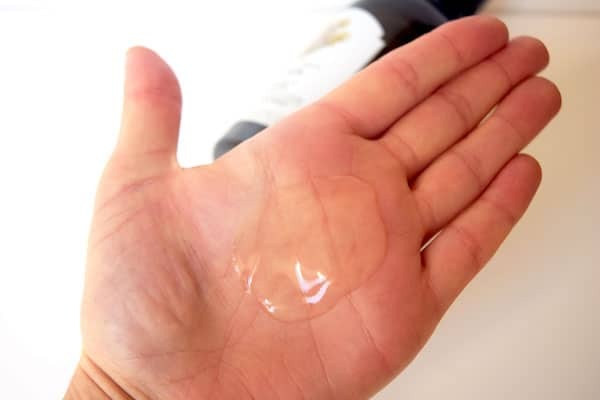 Amber bottles help stop light from degrading precious active ingredients. 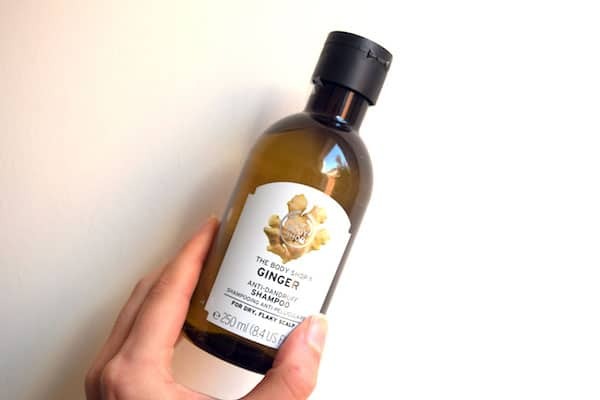 With a simple black flip top cap matched by a smart and simple label design, The Body Shop’s Ginger Anti-Dandruff Shampoo perhaps gives a hint at the kind of dandruff its best used to treat – telling us – for dry, flaky scalp. The proof will be in the ingredients list which we’ll talk more about soon. Before we get there, is The Body Shop’s Ginger Anti-Dandruff Shampoo easy to use? Exiting its bottle with a hint of ginger scent and as a clear liquid, The Body Shop’s Ginger Anti-Dandruff Shampoo is extremely easy to use. The Body Shop’s Ginger Anti-Dandruff Shampoo has strong lathering ability which means it’s easy to massage around your full scalp. No extra doses required. Fantastic wash performance. Time for the most important part – the ingredients. Does The Body Shop’s Ginger Anti-Dandruff Shampoo contain anti-dandruff actives which work? Does The Body Shop’s Ginger Anti-Dandruff Shampoo contain dandruff troubling irritants, allergens or sensitizers? Piroctone olamine is a broad spectrum anti-fungal active meaning, instead of specifically killing one kind of yeast/fungus, it kills many. As your dandruff is caused by an imbalance of yeasts, piroctone olamine is helpful. A 1% piroctone olamine anti-dandruff shampoo can immediately induce a significant reduction in scaling and yeast colonization which continues to persist for up to 3 days. 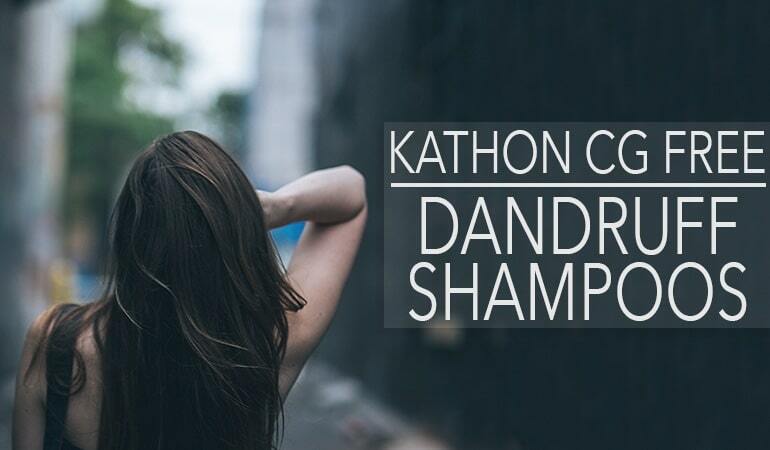 This study also found in comparison to other anti-dandruff actives piroctone olamine anti-dandruff shampoos benefited most from a 5-minute leave on period. The Body Shop’s Ginger Anti-Dandruff Shampoo also contains salicylates which are akin to salicylic acid – like the kind used in the first study we mentioned above. Salicylates are known keratolytics meaning they can help soften and dissolve dead skin. Perfect for getting rid of dry scalp flakes. Also perfect for preventing new dry scalp flakes. Salix alba bark extract, also known as white willow bark extract, is a natural source of salicylates. Some suppliers’ claim their salix alba bark extract contains up to 63% natural salicylates. They can help reduce inflammation, redness, soften/exfoliate skin while also lending antimicrobial benefits. Exactly what you need for helping get rid of dandruff. Final question – why ginger? Can ginger help your dandruff? 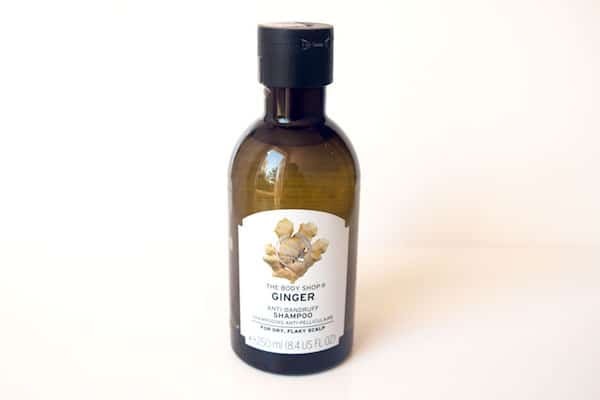 A quick literature search reveals in Egypt ginger is a popular go-to home remedy for dandruff and seb derm. Some small-scale lab-based studies also suggest ginger is helpful for inhibiting Malassezia yeast growth – the specific kind of yeast seen to overgrowth in dandruff scalps. Notice how many allergens The Body Shop’s Ginger Anti-Dandruff Shampoo contains? If you have a sensitive scalp The Body Shop’s Ginger Anti-Dandruff Shampoo is not for you. Overall The Body Shop’s Ginger Anti-Dandruff Shampoo certainly houses anti-dandruff actives with proven activity. The overall formula means this is a no-go for sensitive allergic scalp types, however for anyone with mild to moderate dandruff and no history of skin allergies, it’s possibly worth a try. If however, you like to be extra careful with your scalp care, you might consider another Piroctone Olamine shampoo – and there are many. Broke out in massive hives on my face and little hives all over my body. This shampoo did nothing for my itchy and sometimes flaky scalp. My hair was left feeling dry and stripped. Some people love the shampoo but it didn’t really do it for me either. There’s too many fragrances for my scalp, but as I said, some people love it.